"Random. Used. Comfortable. Random, sunny day in San Francisco." Great example of an 80s as 40s dress. I love that in this dress's heyday it was probably a dress to wear to the office or to an evening event and now to a vintage wearing Kate, it's casual. 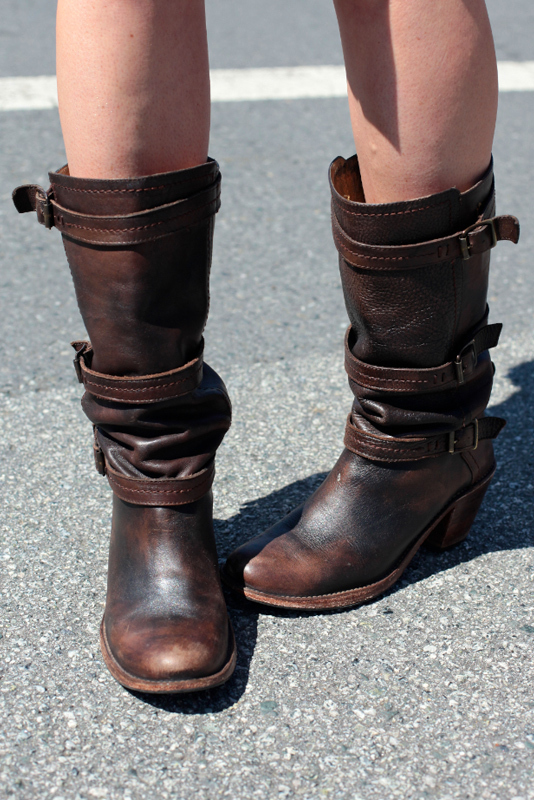 Perfectly weathered leather motorcycle boots with a twist (extra clasps). That is the most adorable dress! I love the print. The boots go perfectly with it too.